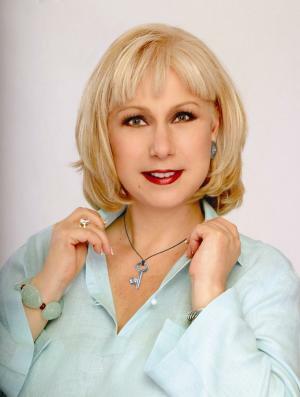 Cristina Maria Saralegui was born on the 29th January 1948, in Miramar, Havana, Cuba of Spanish heritage. She is best known for being not only a Cuban actress, but also a journalist and TV host, who was an editor of the Spanish branch of “Cosmopolitan”, and is the host of her own TV show entitled “The Cristina Show”, which has been aired on the Univision Network channel since 1989. She has been an active member of the entertainment industry since 1973. So, have you ever wondered how rich Cristina Saralegui is? It has been estimated by sources that Cristina counts her net worth at the impressive amount of $30 million, as of mid- 2016; her annual salary is over $5 million. She has been accumulating this amount of money thanks to her successful career in the entertainment industry. Cristina Saralegui hails from a media family; the daughter of Cristina Santamarina and Francisco Rene Saralegui, Jr.; she has four siblings. She is the granddaughter of Cuban journalist Don Francisco Saralegui. During the Cuban Revolution, in 1960 Cristina moved with her family to the USA when she was 12 years old, and they settled in Miami, Florida, where she studied at the Academy of the Assumption, from which she matriculated in 1966. After that, she enrolled at the University of Miami, where she majored in Creative Writing and Mass Communications, but she didn’t graduate. Christina’s career began as early as 1973, when she joined the magazine Vanidades, which helped her to improve her native language, so in 1979 she joined the Spanish version of the USA magazine Cosmopolitan, and worked there through the 1980s. Her life changed in 1989, when she started a show entitled “El Show de Cristina”, which ran until 2010 on Univision. The show featured some of the most famous Hispanic and Mexican heritage actors, singers and TV personalities, including Fernando Colunga, Shakira, Don Francisco, Lucero, Gloria Estefan, Enrique Iglesias, Ricky Martin, Emilio Estefan, and Jorge Ramos, among others, all of whom helped make her show popular, and thanks to its popularity, her net worth became bigger and bigger. However, her show ended in November 2010, and she then started her own magazine, called Cristina: La Revista, and has also published several books, the sales of which further increased the size of her net worth. She was also a part of Telemundo for a short time, starting a show “Pa’lante con Cristina”, but it was canceled after one season. Thanks to her talents and her contribution to the entertainment industry, Christina has received several prestigious awards, including a Star on the Hollywood Walk of Fame in 1999, and Lifetime Achievement Award given by the Imagen Foundation Awards in 2002, among others. When it comes to speak about her personal life, Cristina Saralequi has been married to Marcos Avila since 1982, with whom she has three children. Previously, she was in marriage and had one child. In free time, she is very active in charity work, as she established with Marcos the “Arriba la Vida/Up with Life Foundation” in 1996, which helps people with AIDS. 1 (November 28, 2001) Univision network announces cancellation of Cristina's daily talk show. 2 International Spanish talk show host and journalist. 1999 Star on the Walk of Fame Walk of Fame Television On 4 November 1999. At 7060 Hollywood Blvd. $30 million 1948 1948-1-29 2013 Academy of the Assumption Actress ALMA Community Service Award ALMA Community Service Award (2000) American Aquarius Cristina Cristina Amalia Ávila Cristina Santamarina Cristina Saralegui Cristina Saralegui Net Worth Cristina: La Revista (Cristina: The Magazine) Cuba Cuban Don Francisco El show de Cristina El Show de Cristina (The Cristina Show Emilio Estefan Enrique Iglesias Fernando Colunga Francisco Rene Saralegui George Lopez:: George Has Two Mommies GLAAD Media Vanguard Award GLAAD Media Vanguard Awards(1997 Gloria Estefan Havana January 29 Jon Marcos Ávila Jorge Ramos Lucero Marcos Avila Pa'lante con Cristina (Forward with Cristina) (2011) producer Ricky Martin Shakira Stephanie Ávila University of Miami Would You Like a Drumstick or a Kidney?